Patches and badges gonna make you look trendy. Yes, I am talking about clothes and accessories complemented with fun and bright patches and badges. These little details pinned or sewn on clothes can easily update your everyday look and make it more unique. 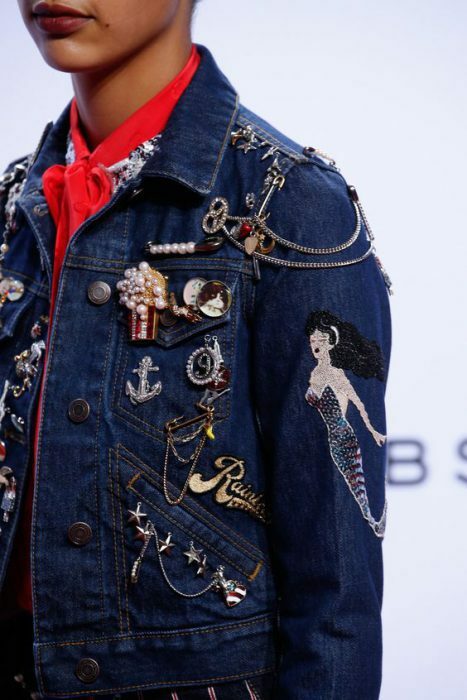 We see a dark blue denim jacket fully covered with cool brooches and badges. Looks kind of military bright to me.